Clothing and Shoes | Is it vegan? Belle and Sofa is a shoe and small accessories company that uses all vegan leather instead of real leather. They offer both casual and business styles and have shops in Kyoto, Kobe, Hiroshima, Wakayama and Sagamihara. They also do pop-up events at department stores in other cities- details can be found on their Facebook page. It’s possible to make online orders, even for making shoes wider, narrower, different sized pairs or even single shoes. 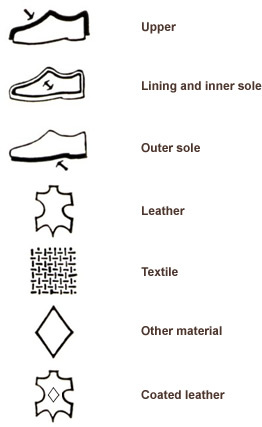 Women’s shoes come in sizes between 21-26 cm. Men’s shoes are available between sizes 24.5-28 cm. Last time they were asked, they could only custom make one style in 29 cm. A few children’s styles are available on the website as well. Not all styles are offered in all sizes. At least in Tokyo and perhaps in other large cities, it’s possible to get vegan Tevas, Tom’s, Doc Martens or Native Shoes. It may be a good idea to check websites before you go to have a good idea of what you’re searching for. The shoe company also makes vegan leather pass cases, card cases, book covers, travel cases, small bags, and so on. They are available on their website. A large selection of Matt & Nat bags are available on Rakuten and also Yoox.